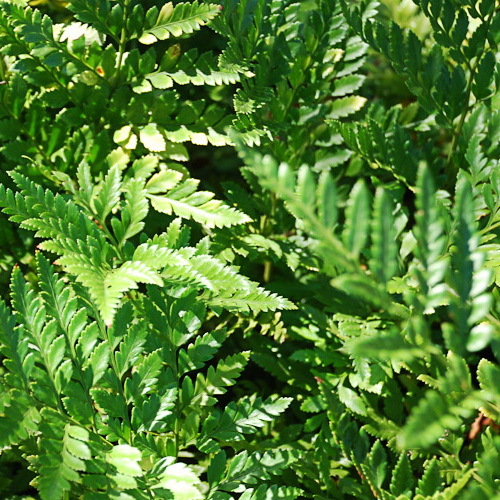 Rumohra adiantiformis is a beautiful, rhizome creeping fern with large, leathery, deep green leaves that needs a shady, moist position. Rumohra adiantiformis is a beautiful, rhizome creeping fern with large, leathery, deep green leaves that needs a shady, moist position. A popular garden plant that occurs naturally in the Southern Cape. Rumohra adiantiformis does well in a shay spot in the garden and should not be overwatered. According to PlantzAfrica various parts of the plant, but especially the rhizome of several Dryopteris species is used by the Zulu and Sesotho people for curing a range of ailments in both animals and humans.